Feddie of Southern Appeal has been interviewed on NPR. He's talking about the Miers nomination. You can listen to the piece here. "She needs more than murder boards," Mr. Specter, Republican of Pennsylvania, said in an interview, referring to the mock question-and-answer sessions most nominees use to prepare for their confirmation hearings. "She needs a crash course in constitutional law." "I did not ask her about it because I don't think she's ready to face it at the moment," he said. Oh, that's gorgeous. Just what we were looking for in a nominee to the Supreme Court. Instalawyer has a piece up accusing Ann Coulter of being an elitist. The charge has somewhat wider application than just Coulter, however, so I wanted to point out something about it. Now, I guess I'm not too surprised at Coulter's ranting about Miers's background. She went to an "elite" undergraduate school [Cornell], an "elite" law school [Michigan], she was an editor of the law review, she clerked for the Eighth Circuit Court of Appeals, and she worked for Floyd Abrams's "elite" law firm in New York City [highly-paid, hundreds of lawyers, most with pedigrees such as Harvard, Yale, Columbia, Virginia, Michigan]. Coulter's looking for a bird of a feather, and appears to take an immediate dislike to an appointee who has the wrong color feathers. One thing I've figured out over the last 20 years or so: legal elitists tend to a pack mentality; they are most comfortable with people who have similar backgrounds. If I had been top 5% at American University, I might have gotten an interview with Coulter's former firm, had I been so inclined. It's unlikely they would have made me an offer, however. I'm just not in the same club, so to speak. I know just where this guy is coming from. I once interviewed with the CIA -- actually, I had a second and a third interview with them. And they asked me, each time, to confirm that the school I had gone to for my graduate work was accredited. "Of course it's accredited," I said. "It's a state university. Says so right in the name. Who do you think does the accrediting?" "Well, I've never heard of it," they sniffed. And then, in the next interview, same question again: "I've never heard of this place where you got your degree. Are you sure it's accredited?" "Do you suppose the Regents of the State of Georgia don't bother to accredit their own state universities?" The look on their faces suggested that they supposed something rather like that; or, at least, that a school accredited by Georgia just wasn't up to snuff anyway. What you have to understand, though, is that there is an objection to Miers that is the opposite of snobbery. There is an anti-elitist objection, too. Miers is an elite because she's a crony. She's an elite because she personally knows important people. She also moves in high circles, and she's getting this job (if she gets it) for only that reason. Most of us Americans get where we get through hard work and the procedure. Those of us who went to state schools, who have worked hard and honestly, we are just disgusted to see less qualified people advanced because they're buddies of the people in charge. Julie Myers, the Bush nominee to head ICE, moved out of committee yesterday. She'll probably be approved. She's 36, and she's married to and related to important people, and her only other job qualifications are from other patronage positions she got by the same family connections. She's going to be the head of the Department of Homeland Security's prime investigative agency, and she is probably no more qualified than I am to do it. If I wanted a job with ICE, though, I'd have to go take the service exam, and become a trainee. My education and experience would probably qualify me for a higher pay grade than the true "bottom rung," but I would still have to start low and work up. The only reason I'd get to start anywhere but the very bottom is that I have already worked hard getting the education and experience. So should she. But instead, she's going to run the place. People who have worked hard and gotten the kind of experience needed will really be making things work, but they'll be paid less than her, and they'll be pretending to be her inferior officers. This Miers nomination is the same thing. It's not that she's not from the Ivy leagues -- fair enough. It's that she's not the best qualified. Not even close. She's Bush's buddy. She's never been a judge, OK. So maybe that's not by itself a disqualification. She's never argued a case before the Supreme Court either. She's not got a developed track record on Constitutional law. She's someone no one would have picked -- except that she knows Bush, so he picked her. That shouldn't be enough for a top position, and the Supreme Court is as high as it gets in the legal field. It shouldn't be enough to be at the top of any Federal agency, but particularly not for one with a lifetime appointment. This isn't the way America is meant to work. It's hard work and experience that's supposed to get you to the top. It's downright obscene to watch the people who have done more and worked harder passed over, time and again. These aren't small posts. ICE is a critical agency for preventing terrorist attacks in the US. The Supreme Court will be resolving the most divisive questions in our society. These posts deserve the best. Roberts gave every impression of being just that. Good job on that one. He wasn't the kind of thinker I wanted, but his qualifications were so obvious that no reasonable person could oppose him. He deserved it, not because he went to the Ivy leagues (although he did), but on sheer merit. If you know how to get it right once, you can get it right again. Back to the drawing board. Give us a real nominee. I've a post over at Bill Roggio's site on the topic. We seem to have entered a new phase in the insurgency there -- a much more dangerous one. I reflect that a certain fatalism may be necessary in counterinsurgency warfare. Even when you have the best kind of tools for the job, as Thailand has and as we often do not, there is only so much you can do to limit the spread. The enemy is active too, and they are also devoted and cunning. 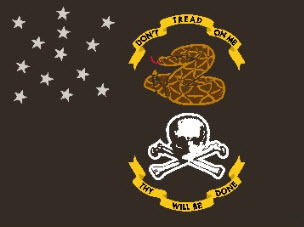 Those of you who will: Thoughts and prayers to USMC 2/2. Don't ask why. Just pray. About two years, in fact, since the last time I linked to Atrios. Still, if you can look past his love of profanity, this cartoon does have a certain point to it. 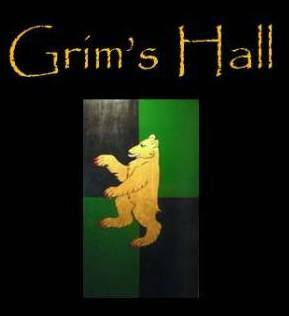 As Fate will have it, important events tend to cluster around given dates at Grim's Hall. The Summer Solstice, for example. It happens also to be my wedding anniversary. Many years, it is also Father's Day. And, just to make things fun, our little boy Beowulf was born on the very same day. So, the coming of Summer brings a huge festival of gift-giving for all parties. This is balanced by the Yuletide, six months later, when we try to get together with family and friends for another grand celebration. These are the two high points of the year. However, there is also mid-October. My beloved wife and I were born precisely five years apart, to the very day. As there was a leap year intervening, our birthdays are one day apart: Mine on Columbus Day, 12 October, and hers on the 13th (Friday the 13th, in fact, was her original birthday). That means that this week I will be marking my... well, I can't tell you which birthday, now that I've told you the difference in my and my wife's ages, or I should be giving away the secret of her own. As we know, that is forbidden to all gentlemen. Indeed, I got a package in the mail today from my mother. How thoughtful! I opened it eagerly... only to find three DVDs for her cherished grandson. Not so much as a note for me! Ah, well. I normally forbid anyone from buying me gifts anyway, although there are one or two women who carry on doing so in spite of my firm rule on the subject. My wife is one, and Dear Sovay the other; and, as last year Sovay got me a catapult, I can hardly complain. If any of you are looking for the right gift for the man in your life, let me tell you, a catapult is definitely the way to go. However, I now already have a catapult. So, instead of a new catapult, I decided to buy for myself a .22 revolver. Some of you may remember I bought a Henry Golden Boy over the summer, so that I could practice my riflemanship any day I had the time; and I have enjoyed it so much, I wanted a revolver as well so that I could practice handgunnery just as often. I went down to the store today, and Lo and behold, what did they have? A used Ruger 50th Anniversary Single-Six, at a most reasonable price. The fellow who runs the place seemed rather surprised, in fact, to see just how reasonable his business partner had decided to be with the thing. As they were only produced in 2003, they are something of a collector's item -- although, all I care about is that it points and balances correctly, and has the same sights as a New Vaquero. After I paid for it, I took it to the range. The experience was somewhat like firing a mortar used to be: the first shot was low and to the left, and low; the second, high and right; but the third and subsequent, right in the ten ring. The fixed sights are right on. It was just a matter of learning how to hold it. I am happy with it. I don't know if my wife or Sovay will buy me any additional gifts, or if this will be the only one, but it is certainly good enough. Anyway, I flatly forbade the two of them to buy me anything at all. Not that either of them normally do what they are told. Spc. Phil Van T. sent a very nice letter to request that I direct you to his new blog, Camp Katrina. "I'm a soldier in the Army National Guard, and recently returned from mobilization for Hurricane Katrina relief efforts in new Orleans. We have created a blog, www.campkatrina.typepad.com, where soldiers can share their stories and pics from Operation Vigilant Relief. I was wondering if there was any way you could mention our site or link to it on yours?" Sure thing, Specialist. It's always a pleasure -- and by the way, thank you. Looks like the Hall had a fun time yesterday. Good! Just such a hearty exchange of views is what I have in mind for the place. It was an impressive exchange. Although some have said that the blogosphere is rushing to uninformed opinion, in fact I think the opposite is true: the blogosphere is generating informed analysis, and distributing informed analysis that arises elsewhere. On the third day since the nomination, I find that my sense that this nomination must be defeated has only hardened. I will attempt to explain why, both by argument and by distributing analysis, as above. The strongest argument against opposing Miers is voiced by Cassandra, couched in terms of fairness combined with political savvy. She argues that, on the one hand, it is entirely unfair to judge Miers before her hearings; and on the other, that Bush is wise not to support "the base" in this matter because it is the middle, and not the base, that elects Presidents and wins control of the Senate. After consideration, I must reject the first argument. This is a very serious matter: a lifetime appointment to the Supreme Court, at which the most contentious issues of the next few years will be decided. We must be prepared, as citizens, to drive our representaties in the Senate one way or the other. That will require sustained pressure over time, and time is short. Once her hearings have begun, they will last only a few days; then the Judiciary Committee will vote, and then the Senate as a whole. If confirmed, she would take office the same day. If there is to be any hope of derailing the nomination, we must begin now. We cannot wait until the hearings. I do not mean to say that we should be unfair. Rather, I mean we must honestly begin raising and considering the problems, and applying pressure to our Senators today and tomorrow, not during and after the hearings. It is the only hope for success, should it prove that Miers is as unqualified as she appears to be. The Senate is capable of ignoring the loudest outburst, for a few days, reasoning that 'the mob' will move on. It is only if we begin now that we will have time to make them consider their duty carefully. As for the argument against extremisim, I share it. However, I would remind Cassandra that I share her irritation -- not with the term "RINO," which she feels is being wrongly directed at her -- but with the term "DINO," which has been wrongly directed at men such as Zell Miller and me. What "the base" wishes to advance here is a judicial philosophy that is the political center, except that most people haven't really thought about it yet. The philosophy, simply, is that "when there is a disagreement about what the law means, the proper way to resolve it is by looking at what the people who wrote it intended it to mean. If we find that we no longer like that meaning, the legislature rather than the courts is the proper venue for changing the law." This philosophy is, I think, destined to become the standard way of reading the law, simply because it is the only one that doesn't make the law into sands that shift underfoot. It is the only philosophy that restrains the power of the court. Restraining the court's power is one of the most critical issues facing the Republic today, because the USSC has found itself above the normal checks and balances. They may strike down Congressional laws and Presidential orders as unConstitutional. They are the final appeal. There is no counterbalance. Furthermore, USSC solutions are by their nature fundamental -- they touch every state, Red and Blue, with no distinction. This is because the foundation of their power to reach into every aspect of American life is the 14th Amendment's approach to civil rights. All Americans have the same civil rights. These two facts have put us in a position in which the court's power must be checked, in order to assure the stability of the Republic. Barring a major Constitutional change, the only way to do it is by appointing justices who will interpret the law as the law was written, and not as they would prefer it or according to what they feel are current conditions. They must not remake the law to mean something it did not mean before. This is why I feel that those who insist on a known judicial philosophy are right to do so. It is true that the Thomas confirmation was hideous; but it is also true that Thomas is the light of the court. We should want more like him. We ought to have the fight, if a fight is needed to get such Justices. Feddie is calling for President Bush to withdraw the nomination. That would suit me fine; otherwise, I feel we shall have to defeat it the hard way. His reasoning is largely drawn from David Frum, who I think is correct in this case. I believe Frum's points address the ones that Daniel was capably defending yesterday and so, like Feddie, I will refer to him. Meanwhile, George Will reminds us that President Bush knowingly signed into law Campaign Finance Reform, having admitted that he did not think it was Constitutional. That being the case, we must be vigilant against further weakness of the spine in upholding the Constitution. I feel we have a duty before us. We must do what we can to unmake this nomination, or to defeat it. Either the President will listen to us, or the Senate must: or else, we take our chances with the foundation of the Republic. PROFESSOR BAINBRIDGE EXPLAINS WHY THE MIERS NOMINATION IS SOOO BAD. Read it here. Hat tip to Feddie over at Southern Appeal. I would love to see Alberto Gonzales on the Supreme Court. Even though it would handicap some of the terrorism cases, its not going to be a permanent handicap. Combine his record with the fact that he's a Texan... and that goes a long way with me. First of all, I never said she was an unqualified attorney. She may very well be a great attorney. However, that does not mean she will be a good judge. I have personally seen great trial attorneys and otherwise fine Marine officers moved to the bench where they performed in a less than stellar manner. The Supreme Court is not the place for on the job learning. Since a positive judicial temperament is one of the more roundly accepted qualities expected of a Supreme Court nominee I fail to see how Miers can adequately be evaluated in this area since she has never been a judge. You accurately point out that many prior justices had not been judges before their appointment but that fact alone does not mean that the prior practice was an advisable one. Aside from some anecdotal evidence, some of which hardly helps your point (Taney was the author of the worst decision in Supreme Court history, Dred Scott), you fail to demonstrate why a lack of judicial experience is acceptable in a Supreme Court nominee. Given the vast number of imminently qualified jurists of established academic and intellectual accomplishments that were simply passed over in favor of Bush’s personal attorney Grim is absolutely right to raise the cry of cronyism. Also see my post over at Southern Appeal as to why this nomination was so bad. Grim brings up the issue of qualifications... never mind that since inception, over 40 Justices have never seen the bench, among those forty are Chief Justice John Jay (1789-1794), Chief Justice John Marshall (1801-1835), & Chief Justice Roger Taney (1836-1864), it appears that single lack is enough to begin the cries of cronyism. To which Joel continues to carry the torch speaking on the President's punt; I guess the President should have thrown the hail-mary. Harriet Miers was born in Dallas, Texas on August 10, 1945. Ms. Miers received her bachelor's degree in Mathematics in 1967 and J.D. in 1970 from Southern Methodist University. Upon graduation, she clerked for U.S. District Judge Joe E. Estes from 1970 to 1972. In 1972, Ms. Miers became the first woman hired at Dallas’s Locke Purnell Rain Harrell. In March 1996, her colleagues elected her the first female President of Locke, Purnell, Rain & Harrell, at that time a firm of about 200 lawyers. She became the first female to lead a Texas firm of that size. Locke, Purnell eventually merged with a Houston firm and became Locke Liddell & Sapp, LLP, where Ms. Miers became Co-Managing Partner and helped manage an over-400-lawyer firm. Ms. Miers had a very distinguished career as a trial litigator, representing such clients as Microsoft, Walt Disney Co. and SunGard Data Systems Inc. Throughout her career, she has been very active in the legal community and has blazed a trail for other women to follow. In 1985, Ms. Miers was selected as the first woman to become President of the Dallas Bar Association. In 1992, she became the first woman elected President of the State Bar of Texas. Ms. Miers served as the President of the State Bar of Texas from 1992 to 1993. She played an active role in the American Bar Association. She was one of two candidates for the Number 2 position at the ABA, chair of the House of Delegates, before withdrawing her candidacy to move to Washington to serve in the White House. Ms. Miers also served as the chair of the ABA’s Commission on Multijurisdictional Practice. On numerous occasions, the National Law Journal named her one of the Nation’s 100 most powerful attorneys, and as one of the Nation’s top 50 women lawyers. Ms. Miers also has been involved in local and statewide politics in Texas. In 1989, she was elected to a two-year term as an at-large candidate on the Dallas City Council. She chose not to run for re-election when her term expired. Ms. Miers also served as general counsel for the transition team of Governor-elect George W. Bush in 1994. From 1995 until 2000, Ms. Miers served as Chairwoman of the Texas Lottery Commission, a voluntary public service position she undertook while maintaining her legal practice and other responsibilities. When then-Governor Bush appointed Ms. Miers to a six-year term on the Texas Lottery Commission, it was mired in scandal, and she served as a driving force behind its cleanup. Ms. Miers came to Washington D.C. in 2001 and began a period of distinguished and dedicated service that continues today. She was appointed to be Assistant to the President and Staff Secretary on January 20, 2001. In 2003, Ms. Miers was promoted to be Assistant to the President and Deputy Chief of Staff. Ms. Miers has served as Counsel to the President since February, 2005. She is single and very close to her family: two brothers and her mother live in Dallas and a third brother lives in Houston. Sorry, but I don't see a huge lack of qualification. I would likewise challenge either of you to name an unknown appointment. Granted, I know that she is more moderate than most hard-charging right leaning folks would like... but the only agenda I want from an Associate Justice is to uphold the Constitution. So that we may all feel we can contribute something... I'd like to solicit thoughts on who should be nominated. I, for one, would love to see Alberto Gonzales... but I am not unhappy with Ms. Miers either. One thing I quickly learned was that Muslims mean very different things when they use the term. Sharia's root meaning is "the way" or "path to the water" and to most Muslims it implies doing God's will, not necessarily imitating the Taliban. In Indonesia, polls show 67 percent support for "Sharia" but only 7 percent objecting to a woman head of state. There it seems to means something like the American polling term "moral values." Polling in Iraq shows a similar pattern: 80% support for Sharia combined with 80% support for equality of men and women. To many Muslims, criticism of Sharia as such sounds strange because, much as they might disagree with stoning adulterous women or cutting off the hands of thieves, the word implies “justice” or “goodness.” So I use the phrase ‘extreme Sharia’ to describe the laws implemented by the Saudis, Iran and others throughout the world. Another thing that is important to realize is that there is more than one "kind" of sha'riah. There are multiple traditions of legal interpretation inside of it, but that's not what I'm getting at here. The "extreme Sharia" Marshall mentions is actually two different phenomena: the type of radical, Caliphate-style law put forth by al Qaeda, Hizb ut Tahrir, and their ilk; and traditional, tribal understandings of the Islamic law, which have evolved in place over the course of centuries. The sha'riah we encountered in Afghanistan, or that is practiced today in parts of Nigeria where Saudis have been teaching their radicalism, is fundamentally different from the kind that is practiced in Aceh province, Indonesia. We are, and must be, opposed to the first type; but the second type can be useful to us. Aceh won the right to have a sha'riah court that the Indonesian government would be bound to respect. They opened the court in 2003, but have only just begun doing any sort of corporal punishment this summer. Widows and orphans are pleased by the new court, as their rights are somewhat more certain under the Islamic law than under Indonesia's rather corrupt legal system. Hizb ut Tahrir is active in Indonesia, but I am given to understand that they find that they have a very limited following in Aceh. A good friend of mine who is something of an expert on the topic informs me that their own native tradition of Islam is too conservative for the Islamist radical. Conservatives, if they are true conservaties, have institutions and traditions they wish to preserve and uphold. Aceh's native culture has several features, particularly forms of art, that are sternly disapproved of by the Islamists. The Islamist agitation against those features has alienated conservative Muslims from the radicals. As a consequence, this living tradition is a stronger break on the radicals than any government action has been. Another of the ongoing disputes, my friend tells me, is over the introduction of the parts of sha'riah that cover thieving. The problem, you see, is that the Islamic law covers corrupt officials as well as bread-thieves, so there is some foot-dragging among the politicians in charge. Nothing surprising about that, I suppose. In any event, the Islamic law is popular. Precisely because corruption is so rampant in Indonesia, there is some feeling among the people that it is good to have the option of having their case heard by local, trusted 'holy men' instead of judges appointed by the central government. It is easy to imagine even Americans feeling the same way -- I suspect that there are many people who would rather have their legal disputes resolved by a preacher they know and trust, according to Biblical principles they feel they understand (although they may be wrong about that...), than by lawyers and judges interpreting a legal code that may be both alien and complicated. I suspect that is the case, even though we have a legal system that works fairly well most of the time, with a class of lawyers that is professional and honest, at least by Indonesian standards. If our courts and judges were routinely corrupt, the option would seem that much more appealing to that many more people. In any event, as Marshall says, we have to engage the issue of sha'riah more than we have. If the radicals are to be defeated, we have to understand both what they really want, and what obstacles to them arise from the cultures that they are trying to change. Some of these "conservative Muslims" are potential, natural allies to us. All they want is a stable, orderly and just society, under the rules that seem natural and right to them; all we want is for them not to harbor and train terrorists. We ought to be able to make that work. Part of the key is appearing to be an ally of the traditional and conservative parts of Islam, where they survive. The Saudi money has infiltrated much of the globe, as we have come to understand, but even that large a lever can shift a traditional culture only slowly. In those places like Aceh, where the culture's old forms are naturally opposed to the radicals, sha'riah is not our enemy. In those places like Afghanistan where the traditional culture has been uprooted by constant war, and the Saudi-financed radicals have taken over the place, it is. We have to be able to see the difference, and also to express clearly to worldwide Muslims why we are sometimes unmaking "the path to the water." WHERE I STAND ON THE MIERS NOMINATION. I am about as disappointed as I can be right now. I never operated under the illusion that Bush was a true movement conservative. However, I thought he would at least throw the base a bone when it came to SCOTUS nominations. Lets face it, for most of us that has been the most important issue, especially in light of the increasingly lawless left-wing tilt of the court. But what happened when Bush got the chance to nominate a SECOND justice to the Supreme Court? He punted! He passed up any number of strong proven conservative judicial choices and picks a no-body that just happens to be a friend of his. That’s what we get for supporting President Bush. A wink, a nod, and a cheesy grin coupled with a promise that “she is one of us.” Well, that is just not enough for me. I am sick and tired of being told “so and so says she is good to go” or “this or that president of this or that conservative group gives her a thumbs up.” Here was an opportunity to have a national debate about originalism and the role of the courts in society, to move public understanding about our Constitution in a positive direction. Instead, Bush cops out and nominates someone no one has ever heard of in the pursuit of political expediency. That’s just wrong. Even if Miers turns out to be the second coming of Scalia, which I doubt very much, the reasons and the process by which she was chosen will still have a negative impact on the legal side of the conservative movement. From here on out, judicial conservatives and academics will always be mindful that participation in the Federalist Society or the expression of strong opinions may very well be an automatic disqualifier for the federal bench. Better to keep quiet and avoid associating with those who have made their feelings known if you hope to go very far. Such a development is not only bad for the conservative movement but for the health of the Republic as well. The process and reasons by which people in our Republic reach high office should be such that the people have a better than average chance of knowing what they are getting. We need to know where these nominees stand and what philosophy, if any, guides them. However, if the only people nominated to the highest court in the land are those who throughout their careers have successfully managed to hide their true beliefs and avoid associating with those who don’t then we will end up with a court of cowards and opportunists. I am not implying that Miers is a coward or an opportunist (I certainly hope she isn’t); only that a system that elevates stealth candidates favors such people and arms them with the advantage of anonymity, an advantage unavailable to those who are willing to take a stand for their convictions. Do I understand that the President just nominated someone to the Supreme Court who has never been a judge at all? Miers would appear to have as her main qualification that she's a personal friend of his. I just got something from the White House press office on Miers, so it's the real deal. I think I'll be writing my Senators to urge that they oppose the nomination. They're both Republicans, and may feel an urge to party loyalty. But really, the Senate is not doing its job if it approves a nominee like this. This is the Julie Myers of the Supreme Court. If this report is right, the United States has just suffered its first suicide bombing. No details beyond these seem to be available. Hat tip Southern Appeal, whose usual devotion to college football -- an understandable and honorable devotion -- has produced something undesired. The information suggests it isn't serious, or predictive of a larger trend. Nevertheless, this is one precedent I would have rather not seen. You went into jail in the summer. It is fall now. You will have stories to cover — Iraqi elections and suicide bombers, biological threats and the Iranian nuclear program. Out West, where you vacation, the aspens will already be turning. They turn in clusters, because their roots connect them. Come back to work — and life. Until then, you will remain in my thoughts and prayers. 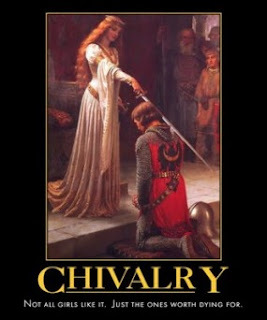 That is the way a gentleman writes to a lady. It is not, so far as I know, still taught in any school: there are no instructors left to teach it, unless they are Sir Walter Scott and Chesterton. My respect for the administration, on the wane somewhat of late especially due to the matter of their ICE appointee, is somewhat reinforced by this exchange. It is good to know that there is at least one among them who knows, and honors, the old forms. It isn't much compared to the great matters of war and politics: but it isn't nothing, either. Jamaat-e-Islami Ameer and Industries Minister Matiur Rahman Nizami has said the role of media is not less than that of terrorists. The minister was addressing a seminar on 'Fundamentalism, militancy and Islam' organised by Bangladesh Quran Shikkha Society at the Jatiya Press Club yesterday. Nizami said an international clique is engaged to implicate Jamaat-e-Islami in terrorist activities and the persons being used as their tools are tarnishing the image of Islam under the garb of alems (religious scholars). He urged the leaders and activists of the party to remain alert against this force. The Jamaat chief said a newspaper ran a report that 40 percent of the arrestees from across the country on charge of bomb attacks are Jamaat members, which is totally untrue. And when we protested the news item, the newspaper published our rejoinder, but it was done in a way so as not to be clearly noticed. If a Western politician told a Press Club that the media was as bad as the terrorists, he would be eaten alive in the papers forever after. Not so much in Bangladesh, though, where the press operates under fear of arrest or "falling ill" under interrogation. This is one reason we have such a hard time in the media wars. All bloggers can do is chide the media. Our political leaders daren't even do that. The radicals in so many places, though, can openly warn even international press agencies to beware what they say. It's worth remembering that. Reuters, AFP, and the lot of them, they are under much darker kinds of pressure than any blogger offers. In order to operate in the unfree places at all, they are forced to strike fearful bargains. It means they are not able to report the news honestly. The only other choice, though, is not reporting it at all. That doesn't excuse the domestic press when they refuse to produce a Yon, or to get basic facts correct, or set aside their 1960s assumptions about the way the military works. It is something to keep in mind, however, when we are thinking about the international agencies. The 3/25 has come home, at last. I'm no fan of CAIR, and I don't agree with their reasoning. All the same, they did us a favor this time. This ad was a disaster from an Information-Operations point of view. It's not that the ad "offers a questionable picture of your companies’ collective opinion of Islam and Muslims," as CAIR said. It's that the ad juxtaposes a holy Islamic site with the words, "unleashes hell," a clear reference to the Marines. This frames the fight exactly in our enemy's terms. The Marines are unholy, even Satanic; they devise and design ways to destroy the Holy Places in the world. We've already let these murderers get away with calling themselves mujahedeen, which means "Holy warriors" and is an historic term of great respect in Islamic society. We have a choice, because we have our own experts who can help us frame the debate properly. A year and a half ago, a guy I know in IO sent a tip to use the term mufsidoon instead. I would like to think we don't do that because it's not the American way to fight over names, but to let the truth of actions speak for themselves. That belief, however much I would like to hold it, would be an obvious lie. We fight about the names of things all the time. "Pro-choice/Life" is the most obvious example, but consider the "Castle Doctrine," below, which the Brady Campaign has decided to rename the "Shoot First" law. I find all that rather tedious and dishonest. Nevertheless, if we have the energy to spare on debates of this type, why don't we perform them where it counts? Americans make no claim to being holy warriors. We don't mind to 'unleash hell' now and then. We tried to fight this war without attacking mosques, because of a genuine respect for religion and a desire to grant sanctuary to that which is thought holy. It didn't work, but it's not our fault it didn't work. People kept shooting mortars at us from these things. So now, if it comes to it, we'll send the Marines to clean them out as necessary. Nevertheless, we've got to be clear that our enemies are not holy either. Indeed, if anyone here is unholy, it's not us. We're just fighting men in a bad world. When we find evildoers among us, we root them out. Our enemy encourages them. We know all that, so maybe we don't feel like we have to say it. But we do have to say it, carefully and often. We've got to be mindful about keeping clean the distinction between the evil we fight, and the mosque in which he sometimes hides.